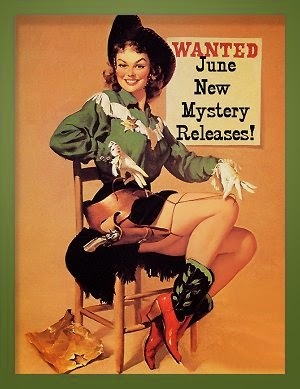 June 2014 New Mystery Releases! It's now my favorite time of the year: Summer with a capital S. Summer, when I get things done so I can take a tall, cold drink and a stack of books with me so I can sit in the pool in the shade and gorge on the printed page. It's true that the area wildlife usually keeps me entertained as well, but my focus is on books, books, books. Hopefully I can do what I did last year and clear a lot of spaces on my to-be-read shelves. Here are my picks for new mysteries being released in June. They are sorted by release dates and contain all the information you'll need to find them at all your favorite book procurement sites. Book synopses are courtesy of Amazon. Synopsis: "Maggie Riley has settled into her new life in Thailand, working aboard her sailboat and doing her best to leave the past behind. When she receives a letter from a World War II vet claiming to have served with her grandfather who went missing in action, Riley is once again pulled into the intrigue that tore her family apart and led to the disappearance of her former search partner—and the love of her life. 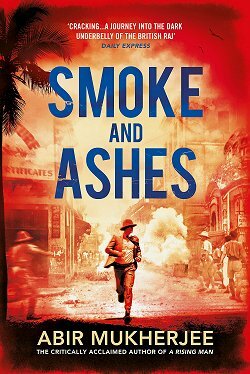 Armed with the secret code her grandfather left behind, Riley must head to the Philippines to hunt for a mysterious shipwreck, uncover the truth of Yamashita’s gold, and find the answers to old questions about her own family." Synopsis: "Single girl, 33, redhead and smouldering, love life that’s crashed and burned. Seeks new flame to rekindle her fire. Fun, friendship and—who knows—more maybe? When thirty-year old Red Cameron met handsome, charming and rich thirty-five year old Bryce Laurent through an online dating agency, it was instant attraction at first sight. But as their love blossomed, the truth about his past began to emerge, and with it his dark side. Everything he has told Red about himself turns out to be a tissue of lies, and her infatuation with him gradually turns to terror. Within a year, and under police protection, she evicts him from her flat and her life. But far from being over, her nightmare is only just beginning. For Bryce is obsessed and besotted with her. He intends to destroy, by fire, everything and everyone she has ever known and loved—and then her, too. 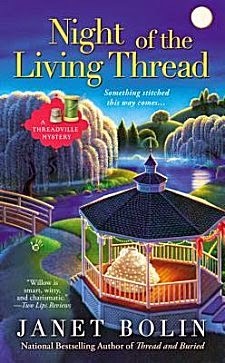 It's up to Detective Superintendent Roy Grace to stop him before it's too late..."
Synopsis: "It’s early October, and hordes of visitors have descended on the tiny, celebrated village of Threadville, Pennsylvania, to attend a Halloween crafts fair, a zombie retreat, and the wedding of Edna Battersby—dear friend to Willow Vanderling, owner of the chic machine embroidery boutique, In Stitches. 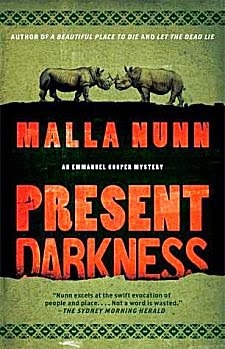 Now Willow must follow a trail of glow-in-the-dark thread, delve into ancient Egyptian curses, and creep through a haunted graveyard to unearth a killer—before she becomes the next fashion victim…"
Synopsis: "Five days before Christmas, Detective Sergeant Emmanuel Cooper sits at his desk at the Johannesburg major crimes squad, ready for his holiday in Mozambique. A call comes in: a respectable white couple has been assaulted and left for dead in their bedroom. The couple’s teenage daughter identifies the attacker as Aaron Shabalala— the youngest son of Zulu Detective Constable Samuel Shabalala—Cooper’s best friend and a man to whom he owes his life. The Detective Branch isn’t interested in evidence that might contradict their star witness’s story, especially so close to the holidays. Determined to ensure justice for Aaron, Cooper, Shabalala, and their trusted friend Dr. Daniel Zweigman hunt for the truth. Their investigation uncovers a violent world of Sophiatown gangs, thieves, and corrupt government officials who will do anything to keep their dark world intact." 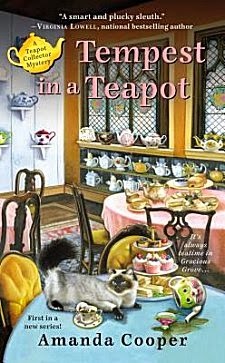 Synopsis: "When her fashionable Manhattan restaurant goes under, Sophie Taylor retreats to her grandmother’s cozy shop, Auntie Rose’s Victorian Teahouse, where serenity is steeped to perfection in one of her many antique teapots. The last thing Sophie expects is a bustling calendar of teahouse events, like her old friend Cissy Peterson’s upcoming bridal shower. Not everyone is pleased with the bride-to-be’s choice of venue—like Cissy’s grandmother, who owns a competing establishment, La Belle Epoque, and has held a long-simmering grudge against Rose for stealing her beau sixty years ago. Tensions reach a boiling point when Cissy’s fiancé’s mother dies while sampling scones at La Belle Epoque. 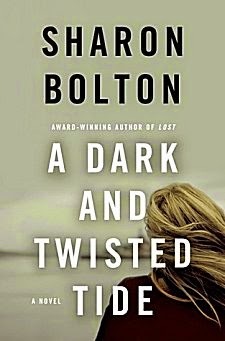 Now, to help her friend, Sophie will have to bag a killer before more of the guest list becomes a hit list…"
Synopsis: "In the summer of 1916, a big twister brings destruction to the land around Boynton OK. Alafair Tucker’s family and neighbors are not spared the ruin and grief spread by the storm. But no one is going to mourn for Jubal Beldon, who made it his business to know the ugly secrets of everyone in town. It doesn’t matter if Jubal’s insinuations are true or not. In a small town like Boynton, rumor is as damaging as fact. As Sheriff Scott Tucker and his deputy Trenton Calder look into the circumstances surrounding Jubal’s demise, it begins to look like the prime suspect may be someone very dear to the widow Beckie MacKenzie, the beloved music teacher and mentor of Alafair’s daughter Ruth. Ruth fears that the secrets exposed by the investigation are going to cause more damage to her friend’s life than the tornado. Alafair has her own suspicions about how Jubal Beldon came to die, and the reason may hit very close to home." Synopsis: "Daniel believed that his parents were enjoying a peaceful retirement on a remote farm in Sweden. But with a single phone call, everything changes. Caught between his parents, and unsure of who to believe or trust, Daniel becomes his mother's unwilling judge and jury as she tells him an urgent tale of secrets, of lies, of a crime and a conspiracy that implicates his own father." Synopsis: "Lacey Flint, Sharon Bolton’s enigmatic protagonist, has been living in a houseboat on the River Thames, and she’s becoming a part of London’s weird and wonderful riverboat community. Against her friends’ better judgment, she’s taken up swimming in the Thames, and she feels closer than ever to Detective Mark Joesbury, despite his involvement in a complicated undercover case. For the first time in her life, as she recovers from the trauma of the last few months, Lacey begins to feel almost happy. Then, at dawn one hot summer morning while swimming down the river, Lacey finds the body of a shrouded young woman in the water. 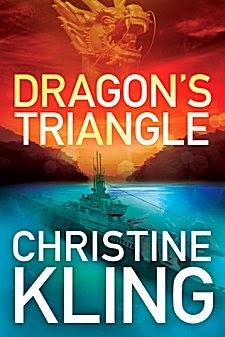 She assumes it was chance—after all, she's recently joined the marine policing unit, and she knows how many dead bodies are pulled out of the river every year, most the result of tragic accidents. But further investigation leads her policing team to suspect the woman’s body was deliberately left for Lacey to find. Lacey’s no longer a homicide detective, but as she begins to notice someone keeping a strangely close eye on her, she’s inexorably drawn into the investigation. 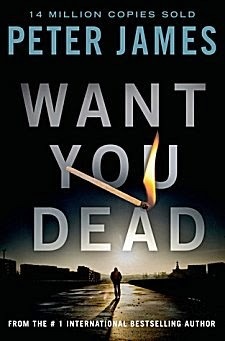 Award-winning author Sharon Bolton has once again crafted a tightly plotted, utterly unpredictable thriller around one of the most compelling characters in crime fiction today, intensely private London police officer Lacey Flint, whose penchant for keeping secrets is only matched by her determination to uncover those of others." 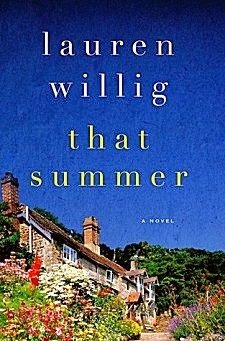 From modern-day England to the early days of the Preraphaelite movement, Lauren Willig's That Summer takes readers on an un-put-downable journey through a mysterious old house, a hidden love affair, and one woman’s search for the truth about her past—and herself." 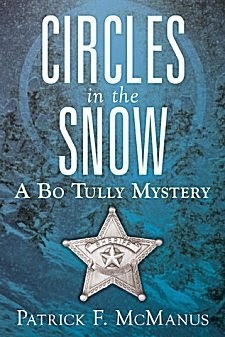 Synopsis: "Bo Tully, sheriff of Blight County, Idaho, has dealt with small-town crime throughout his long, storied career. Now, contemplating retirement after years on the job, Tully is faced with perhaps his most perplexing case yet. When area bald eagles start getting picked off by a ghost-like killer, and when a prominent local rancher is murdered by an arrow with eagle fletching, things gets complicated fast. 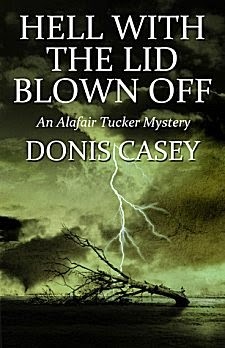 In this fast-paced whodunit, Tully has a vast array of suspects to chose from—including the rancher’s gorgeous, bird-loving wife who mysteriously leaves for a ranch in Mexico the day of the murder; the beautiful chef at the local house of ill repute, who is well-known as a budding ornithologist; and the ranch foreman, who is rumored to be having an affair with his boss’s widow. Will Tully put the pieces of the puzzle together, yet again? Will sending his dad, the former sheriff of Blight County, along with his number two man, down to Mexico help solve the mystery? And what about the mysterious large circles in the snow that Tully finds around the ranch—with no footprints leading in or out of the area? 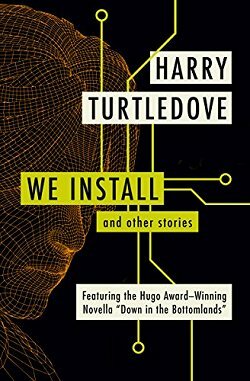 It all adds up to another engrossing series of twists and turns. And in the end, Tully gets his man . . . or woman . . . or does he?" Synopsis: "When novelist Owen Quine goes missing, his wife calls in private detective Cormoran Strike. At first, Mrs. Quine just thinks her husband has gone off by himself for a few days-as he has done before-and she wants Strike to find him and bring him home. 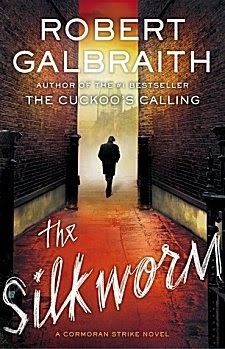 When Quine is found brutally murdered under bizarre circumstances, it becomes a race against time to understand the motivation of a ruthless killer, a killer unlike any Strike has encountered before... A compulsively readable crime novel with twists at every turn, THE SILKWORM is the second in the highly acclaimed series featuring Cormoran Strike and his determined young assistant, Robin Ellacott." Synopsis: "A rash of burglaries has got Inspector Salvo Montalbano stumped. The criminals are so brazen that their leader, the anonymous Mr. Z, starts sending the Sicilian inspector menacing letters. Among those burgled is the young and beautiful Angelica Cosulich, who reminds the inspector of the love-interest in Ludovico Ariosto’s chivalric romance, Orlando Furioso. 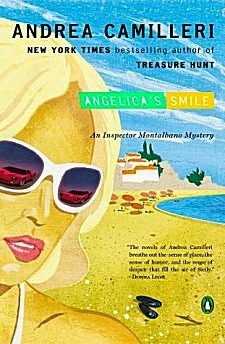 Besotted by Angelica’s charms, Montalbano imagines himself back in the medieval world of jousts and battles. But when one of the burglars turns up dead, Montalbano must snap out of his fantasy and unmask his challenger." 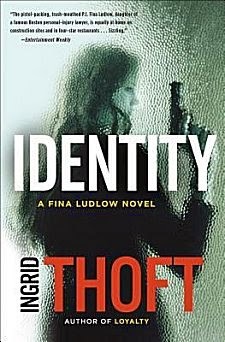 Synopsis: "It’s been a couple months since Fina’s last big case—the one that exposed dark family secrets and called Fina’s family loyalty into question—but there’s no rest for the weary, especially when your boss is Carl Ludlow. Renata Sanchez, a single mother by choice, wants to learn the identity of her daughter Rosie’s sperm donor. A confidentiality agreement and Rosie’s reticence might deter other mothers, but not Renata, nor Carl, who’s convinced that lawsuits involving cryobanks and sperm donors will be “the next big thing.” Fina uncovers the donor’s identity, but the solution to that mystery is just the beginning: within hours of the case going public, Rosie’s donor turns up dead. Fina didn’t sign on for a murder investigation, but she can’t walk away from a death she may have set in motion. She digs deeper and discovers that DNA doesn’t tell the whole story and sometimes, cracking that code can have deadly consequences." June has a little something for everyone, doesn't it? 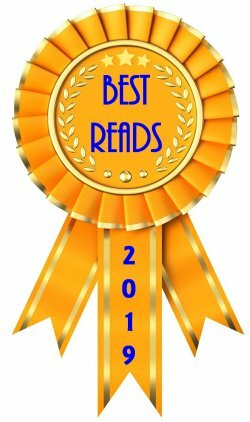 Cozies, police procedurals, thrillers, private investigators, historicals... set in various places around the world. 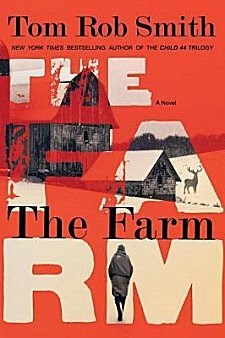 I've already read some of my picks for June, so I have to say that Tom Rob Smith's The Farm is really intriguing me. How about you? Did you add any of these books to your own wish list? Which ones? Inquiring minds would love to know! Cathy - Oh, so much to like here! A new Nunn, a new Bolton, a new Camilleri... yeah, I'll be a busy reader. Oh, I hit highs and lows on this post. Rah to new books by Nunn, Camilleri and Galbraith/Rowling. But so soon? I've still got lists of new releases for several months! Better get cracking over here. By the way, Denise Mina's new book "The Red Road" is mind-boggling. This author shows her brilliance once again. Although gritty and at times unrelenting, the intricate plot comes together well and Alex Morrow shows herself to be made of steel. My TBR list looks like a 20-year "to do" list, as my sister would say. 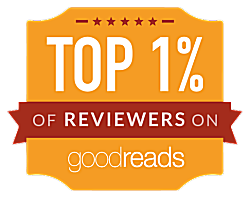 It's got recommendations from bloggers and commenters going back since I began reading crime fiction blogs. So many interesting books to read. A friend just told me about "Paris," a fictionalized story of hundreds of years of that amazing city. I told her I can't take it on; it's like a thesis project, would turn my life inside out and I'd be tied to it for weeks. I've got a book about Paris-- Paris at the End of the World: The City of Light During the Great War, 1914-1918 on my wish list, and I recently purchased Life After Life. It would appear that great minds think alike! I follow a few Facebook pages about Scotland, and one day one of them posted something about Inverness, the "capital of the Highlands" and a city that I greatly enjoyed visiting. For some reason, a Scotland Bashing (especially the Highlands) ensued in the comments about how unfriendly the Scots (or at least the Highlanders) were. I had to wonder if I visited the same country because each time I've gone, I've found everyone in that country to be very friendly and welcoming. Granted, they don't necessarily fall all over you the second you walk in the door, but I don't expect that from anyone in any country. It made me wonder what sort of attitudes the Highland bashers travel with?